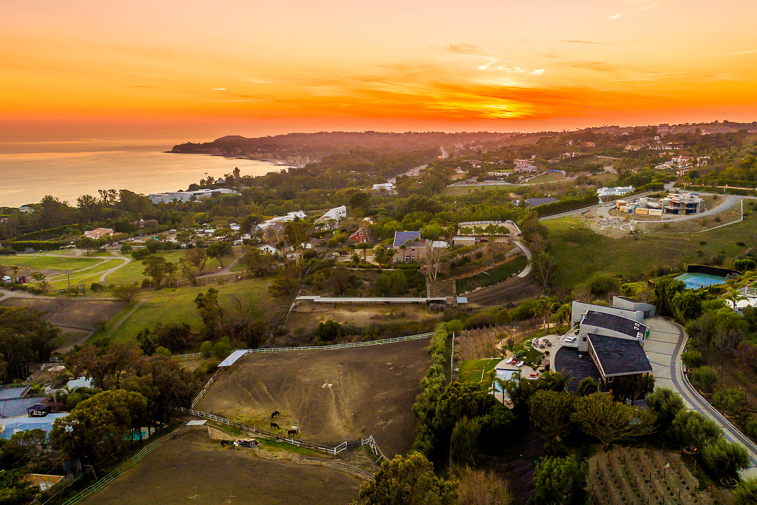 Malibu sunsets will be stunning from this private estate. 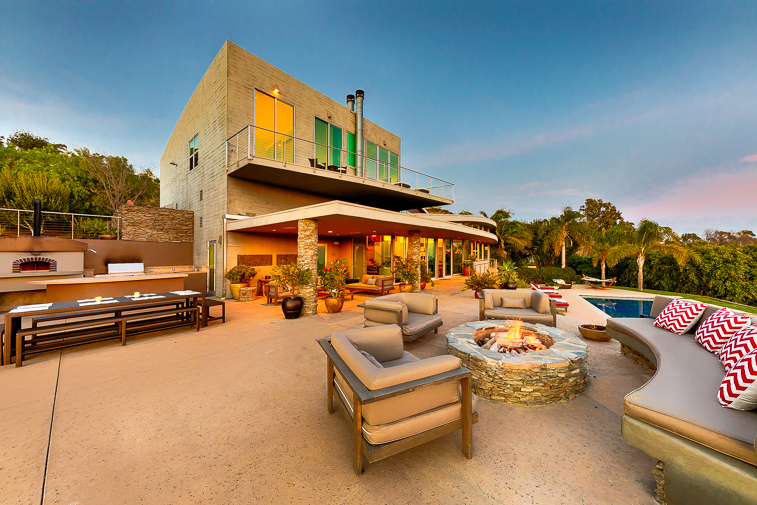 Enjoy this fire pit at sunset. 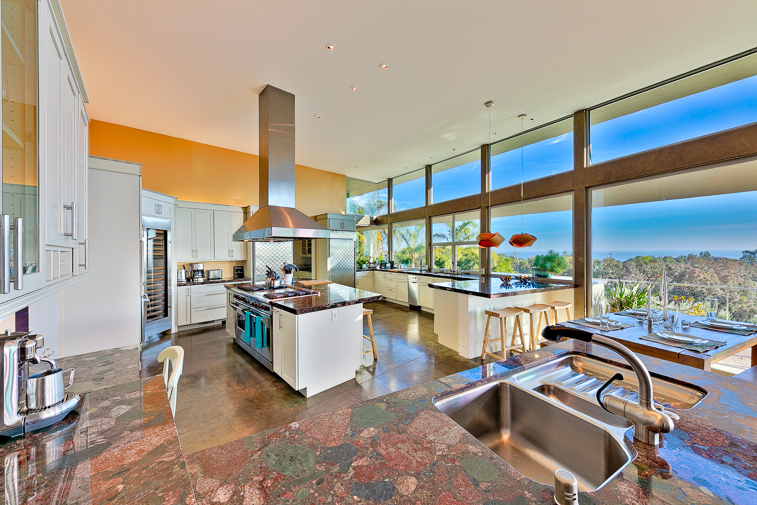 Large updated kitchen with island cooking top and ocean views. 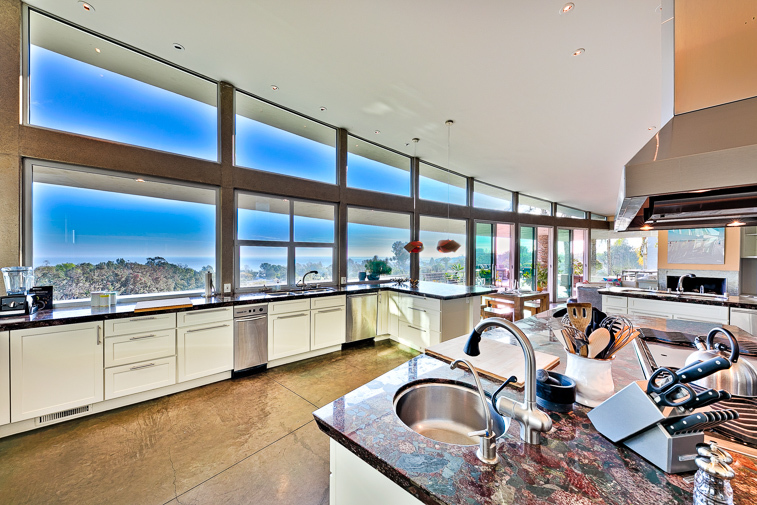 Enjoy the beauty of Malibu from this updated kitchen. 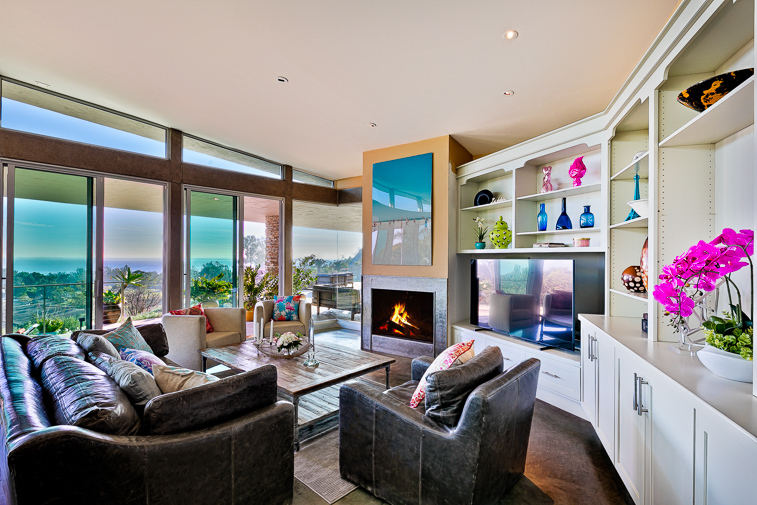 Family room with ocean views, flat screen TV and fireplace. Living room and dining room combination with floor to ceiling ocean views. 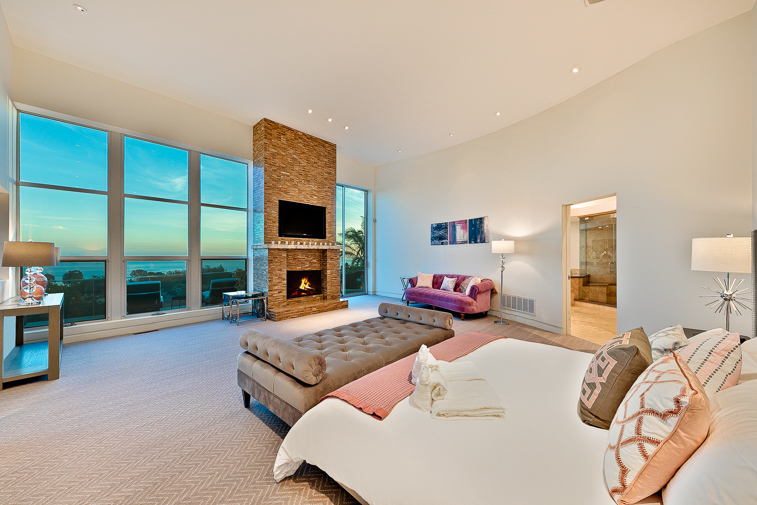 Master bedroom with ocean view, wall mounted flat screen TV and fireplace. 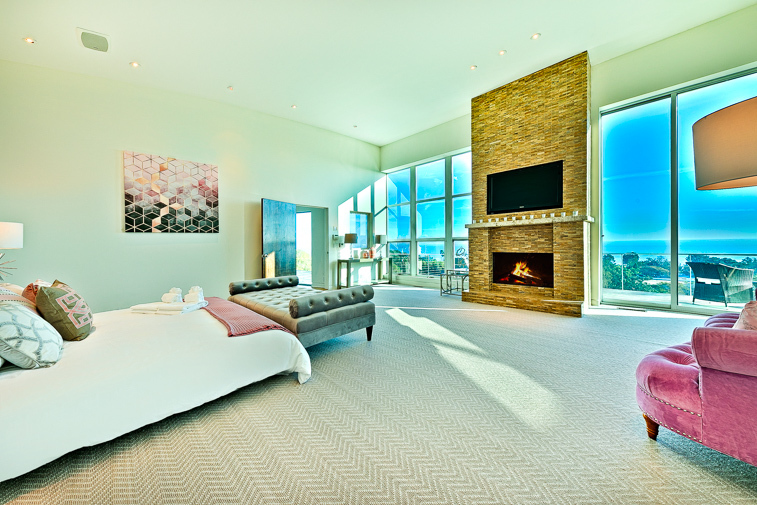 Enjoy sweeping views views from your king size bed in the master bedroom. 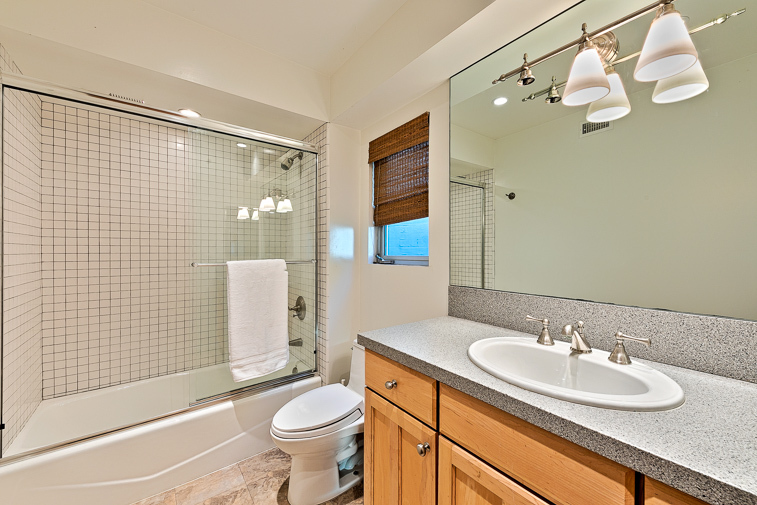 Master bathroom with standing shower and tub with ocean views. Guest bedroom #1 with ocean views and flat screen TV. Bathtub and standing shower in bathroom of guest bedroom #1. Guest bedroom #2 with bunk beds, flat screen TV, en suite bathroom and ocean views. En suite bathroom of guest bedroom #2. Guest bedroom #3 flat screen TV. En suite bathroom of guest bedroom #3. Guest bedroom #4. 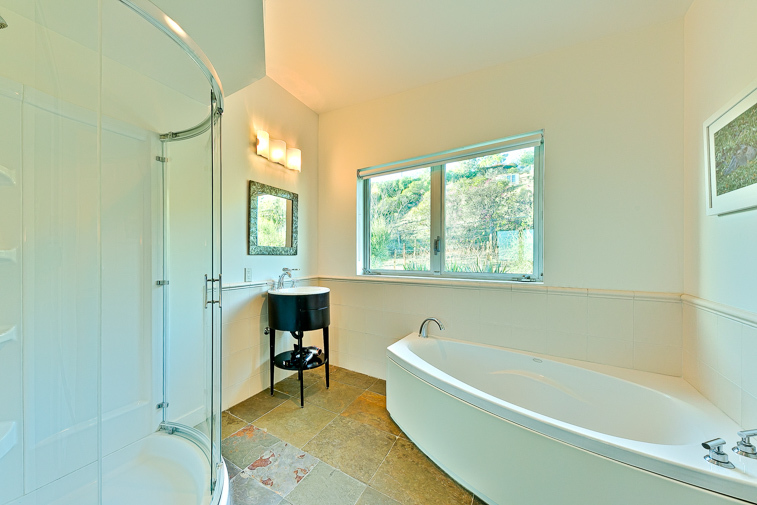 En suite bathroom of guest bedroom #4 with combination shower and bathtub. Alternate living area (mother in law suite/maids quarters) with own family room, dining table kitchen and bathroom. 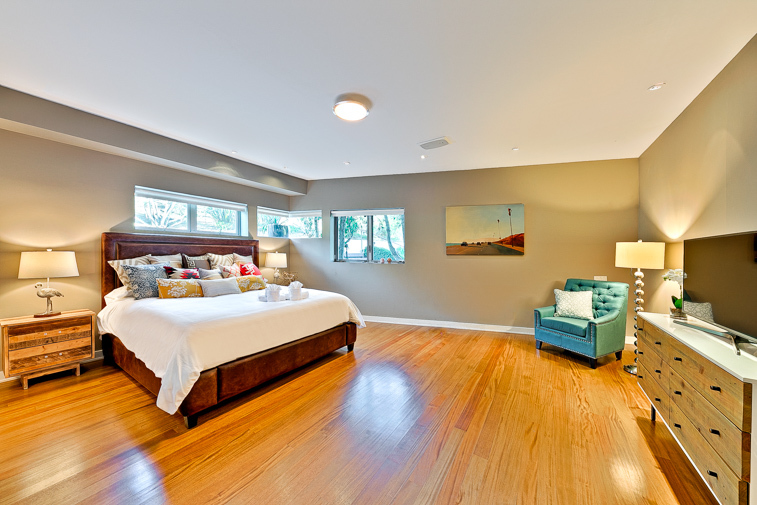 Bedroom in alternate living area. 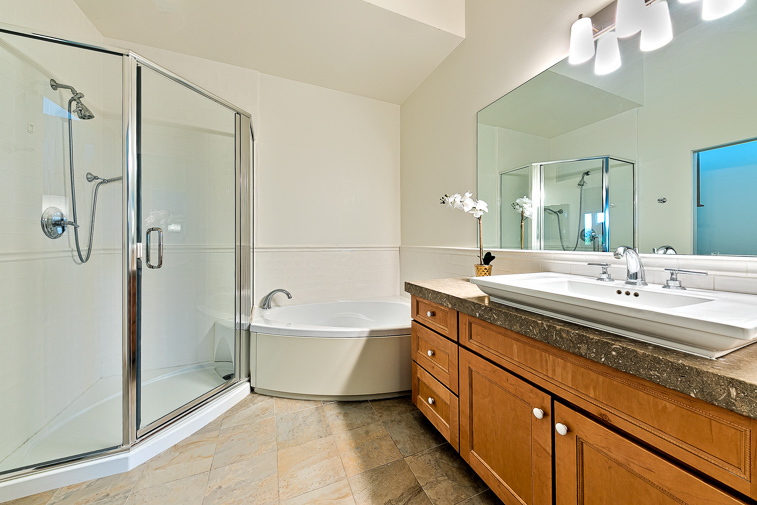 Bathroom in alternate living area with combination bathtub and shower. 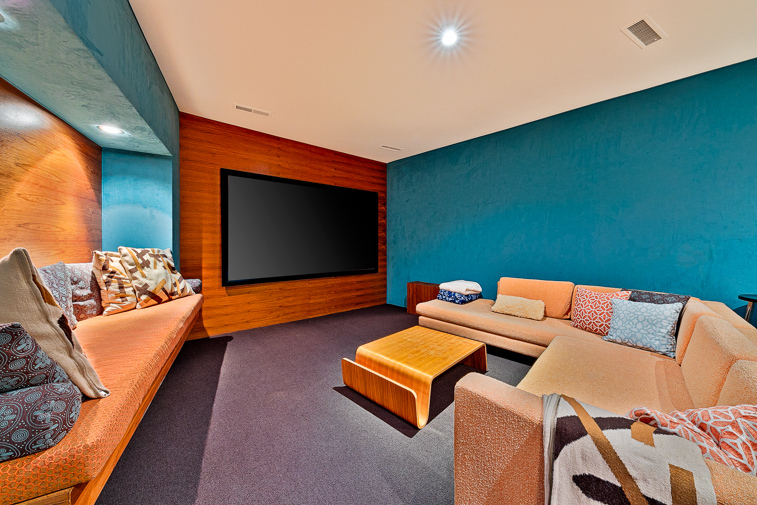 In home media room. Kitchen of additional living area. Patio seating allows for covered relaxation. 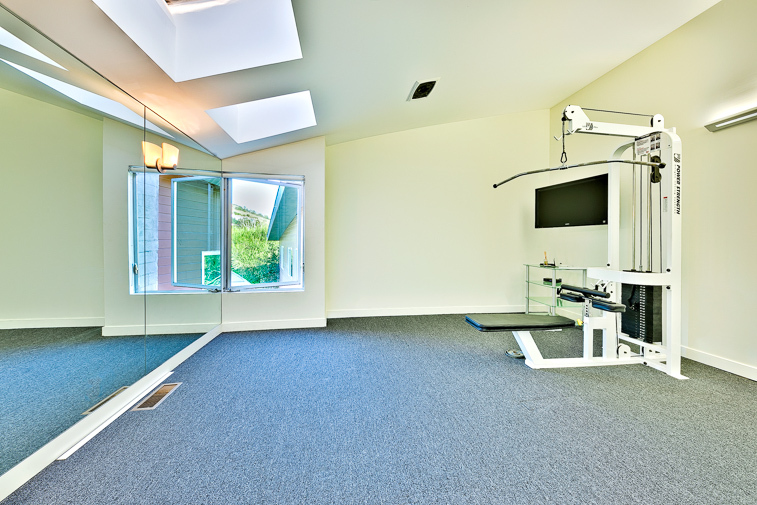 Private gym located inside home. 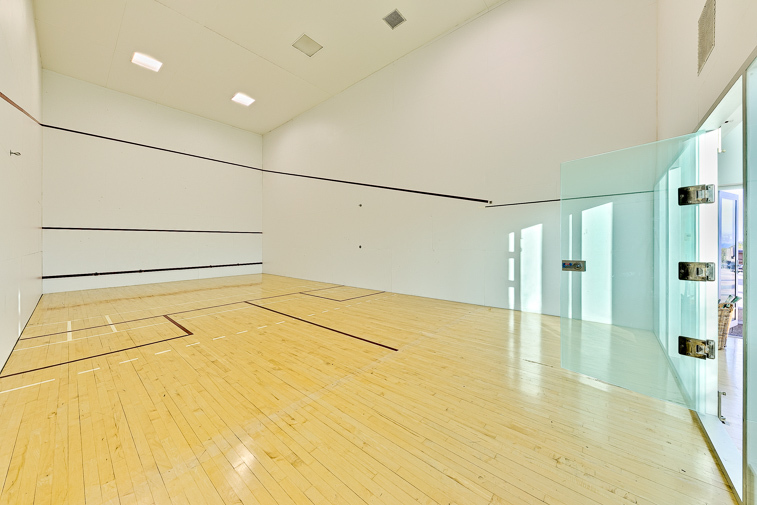 Get your sweat on during your stay at this on site racquetball/squash court. 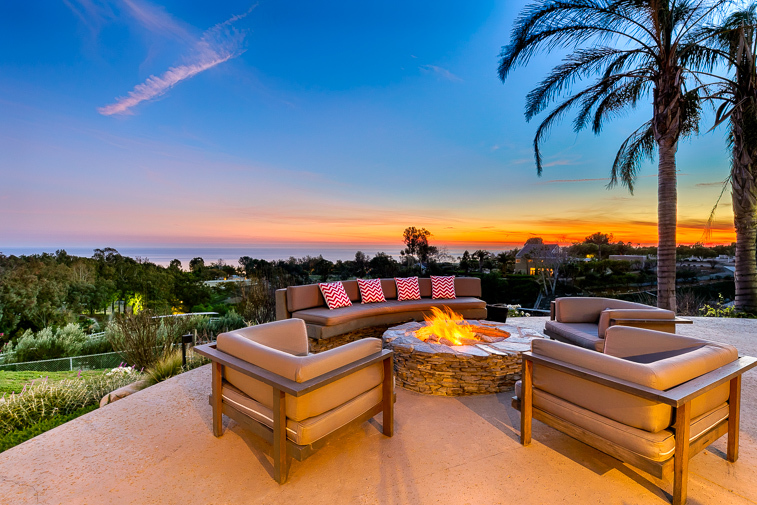 Various seating areas to enjoy the Malibu weather. 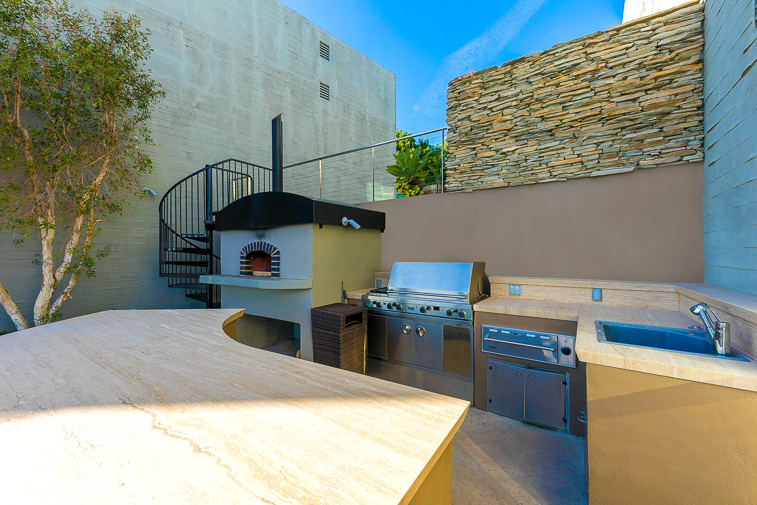 Outdoor cooking area with pizza oven. On site outdoor sports area. Inside batting cage there is no pitching machine, instead bag-o and bocce ball set up! 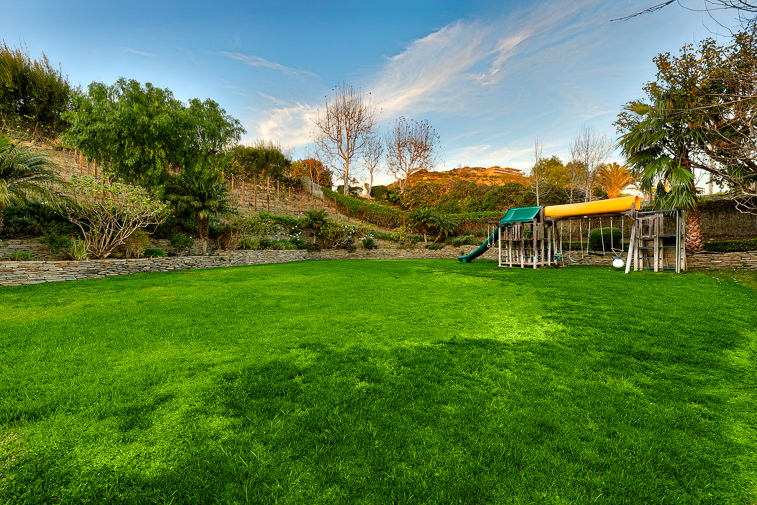 Plenty of grass to enjoy playing outdoors during your stay. 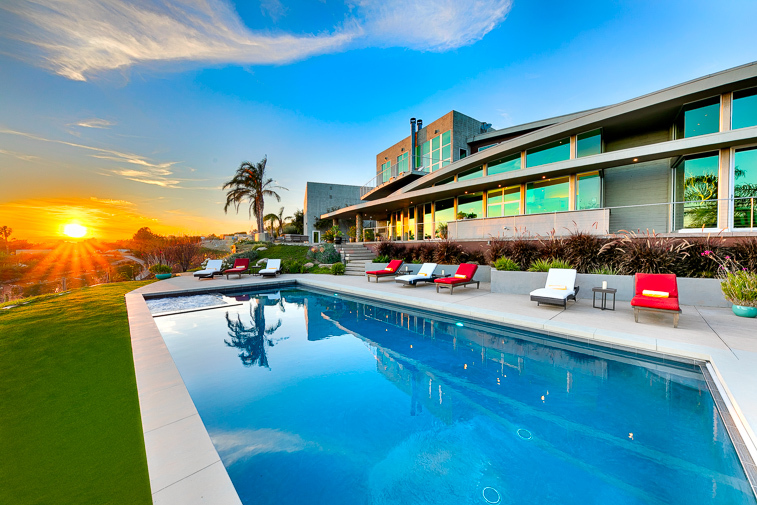 Enjoy this Malibu estate and all it has to offer during your stay. 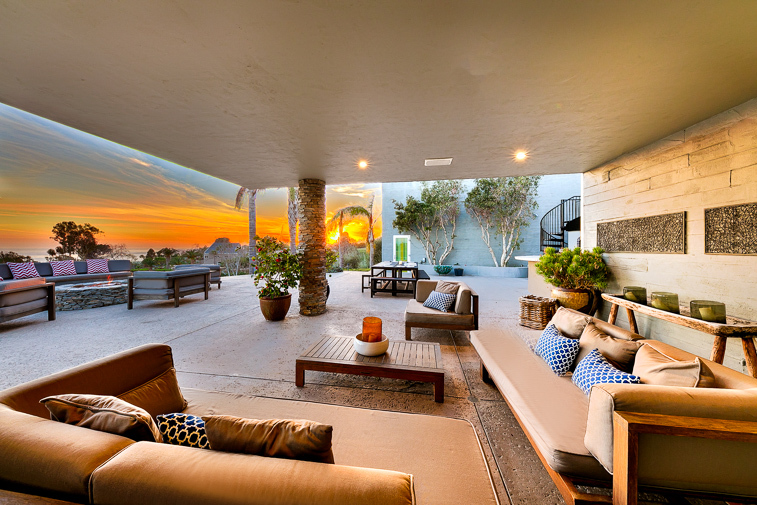 Ocean views from this Malibu home and expansive outdoor living spaces. 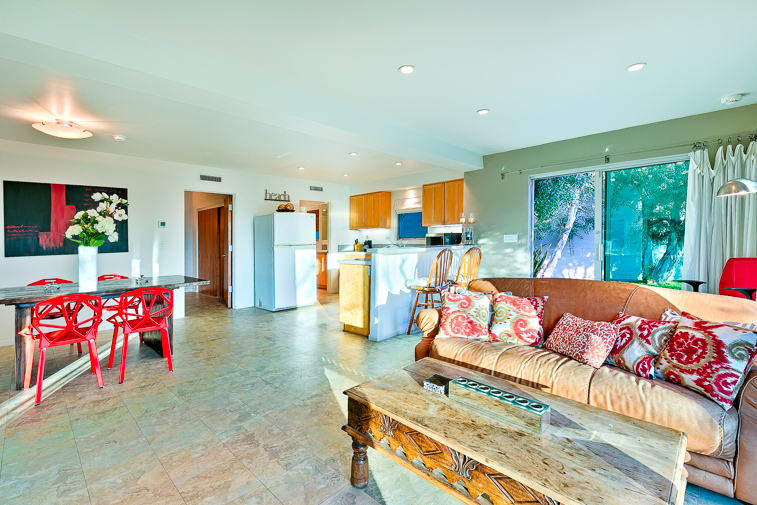 Plenty of space to relax and enjoy yourself including your own private pool. 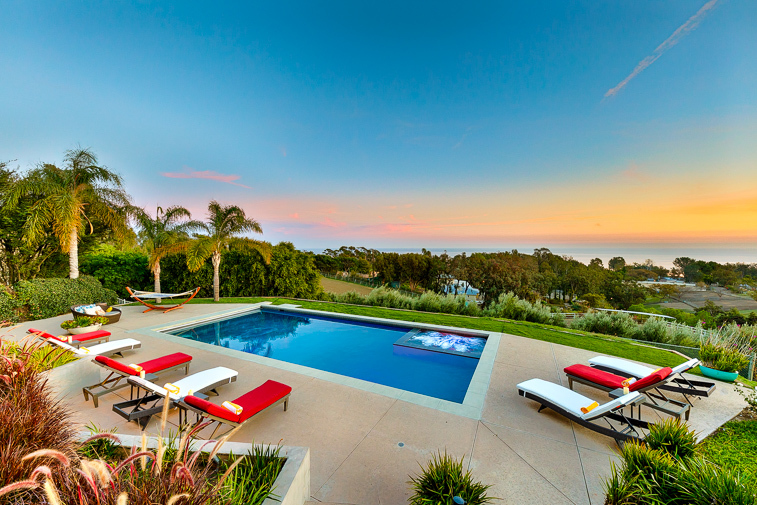 This captivating modern architectural estate with amazing ocean views on 3 beautifully landscaped acres, includes a heated pool and spa, fire pit, outside dining, kid’s playground, vineyard, gym, indoor racquet/squash court, home theater, and a detached guest house with a kitchen. 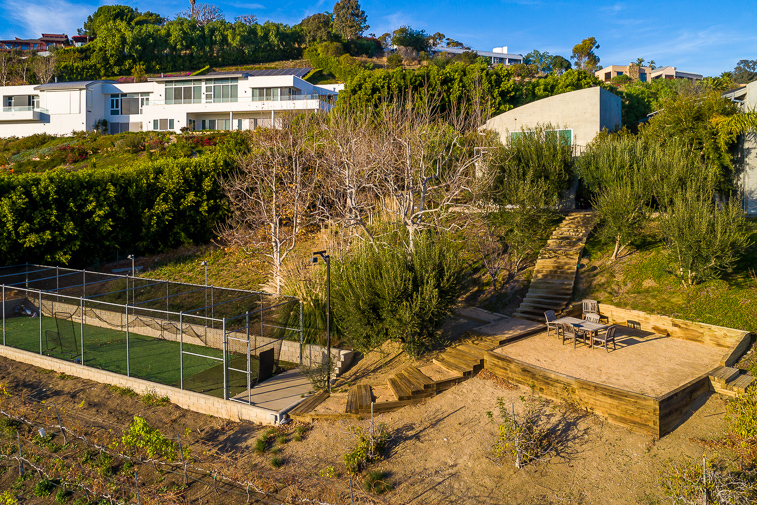 Located in the prestigious Winding Way area of Malibu, this private gated compound is ideal for entertaining or hosting family, friends, and colleagues with its chef designed kitchen, outdoor pizza oven, and ample outdoor seating. 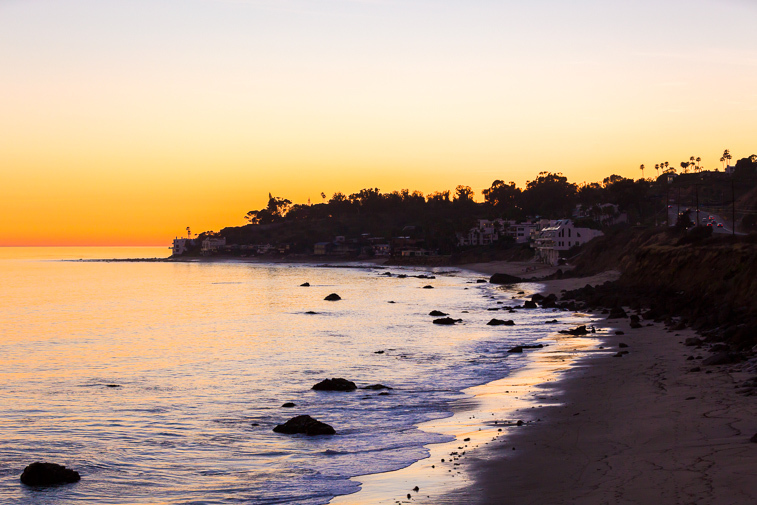 It is about a ½ mile to the beach and close to hiking/horse trails, Escondido Falls and Paradise Cove. This luxurious 2-story, 8000 sq. ft. 6 bedroom, 7 1/2 bathroom estate has a beautiful spaciousness, as well as floor to ceiling windows in most rooms - where you can be gazing at the ocean view, the pool/spa, the vineyard, the lush lawn - all intermingled in beautiful Mediterranean landscaping. 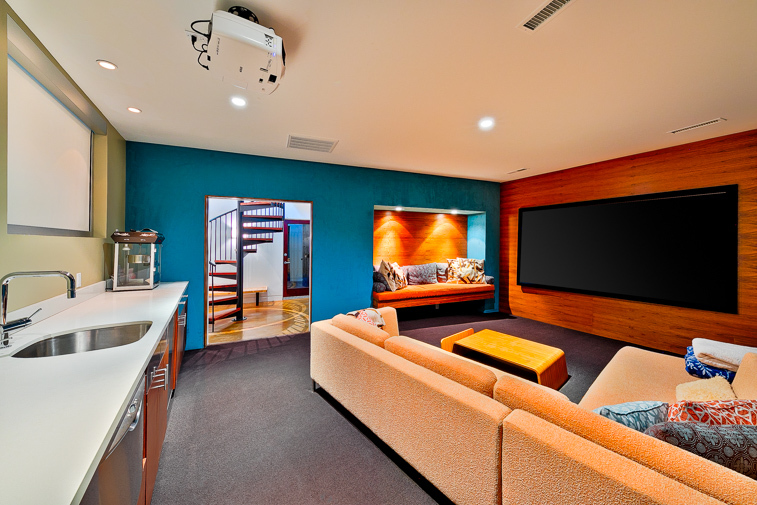 Add in a fun theater room, gym and racquetball court and you have everything you could ever want on your Malibu vacation. 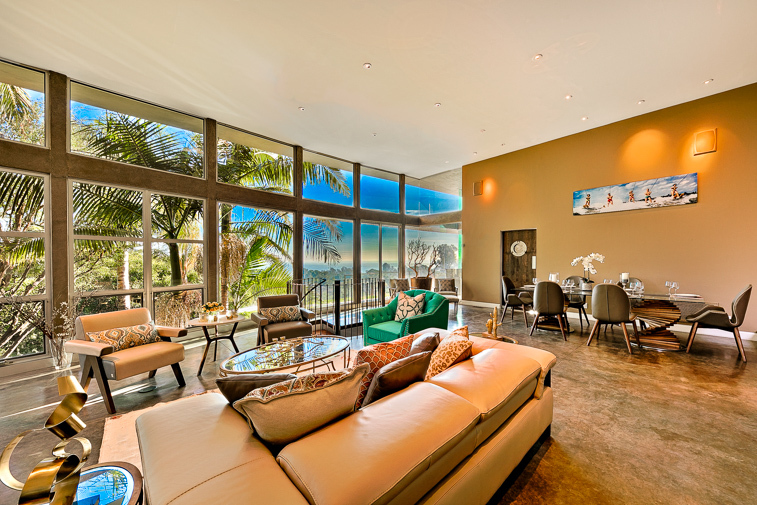 A spacious atrium welcomes you to a beautifully appointed great room with floor to ceiling ocean view windows. The living room area has lots of comfortable seating, a large flat screen TV, and a beautiful fireplace. 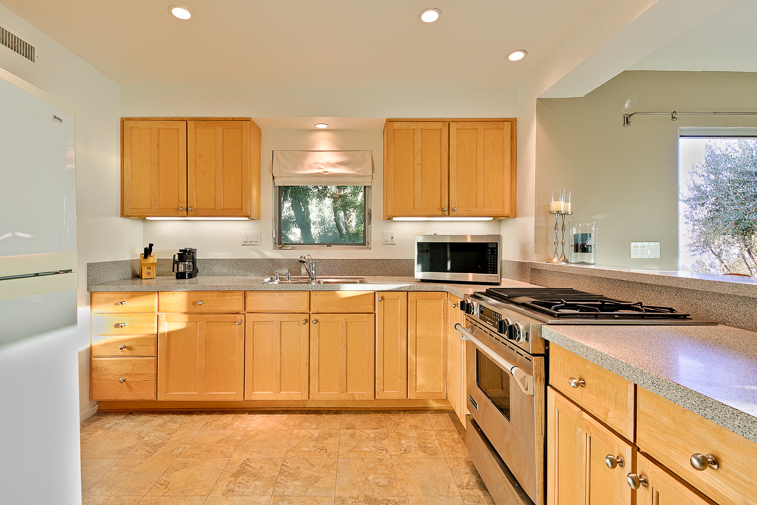 A large gourmet kitchen has everything you need to create meals and snacks. Right next to it as is a dining area table for 4-6. Two island bars in the kitchen with high top stools makes it easy for everyone to eat together. Also on the first floor is a king bedroom with a large flat screen TV, and an ensuite bath with a shower/tub combination. There is also a queen bedroom with an ensuite bath on the first floor. On the second floor the master king bedroom is a beautiful sanctuary with a rock wall that features a beautiful stone fireplace and a large flat screen TV. A private outdoor balcony with comfortable seating showcases the ocean view and lush landscaping. 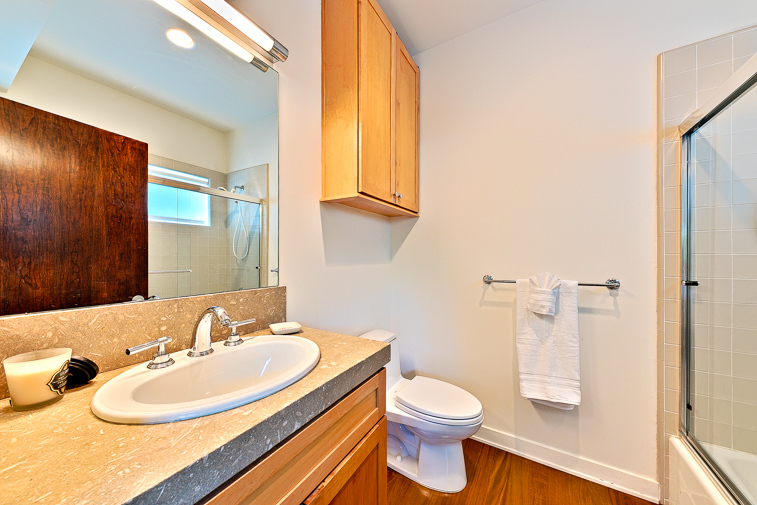 There is a large closet and also an ensuite bath with a large walk-in shower, a gym and a separate soaking tub. The 2nd queen bedroom upstairs has an ensuite bath, with a flat screen TV. An additional upstairs bedroom with twin bunk beds with a trundle (3 twins) also has an ensuite bath featuring a large walk-in shower and a soaking tub. 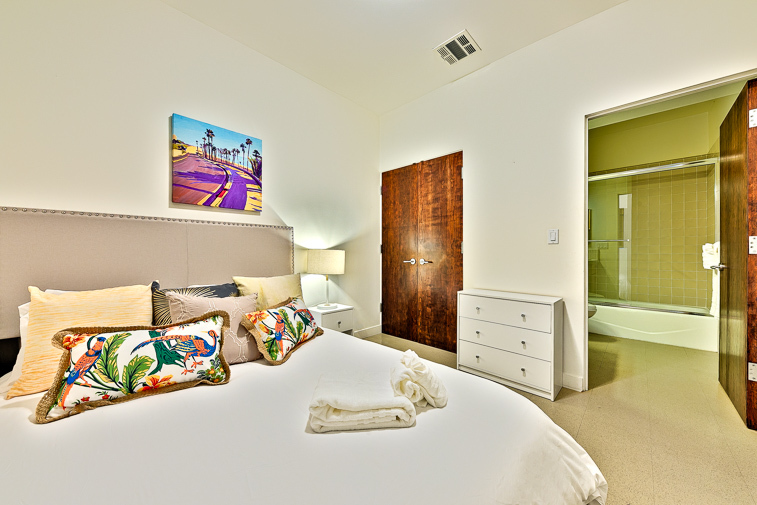 This home comfortably sleeps 15 in beds furnished with premiere linens. 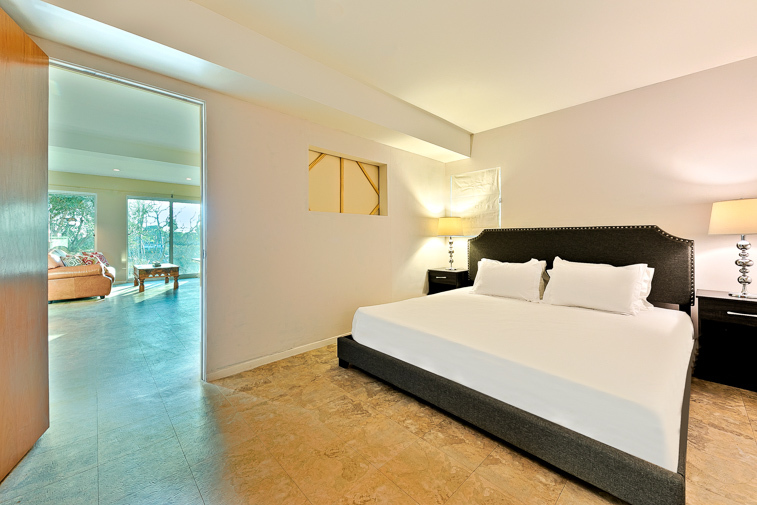 The 3rd king bedroom is in a separate 760 sq. ft. casita with floor to ceiling windows showcasing a beautiful, a full kitchen, comfortable seating, and a kitchen bar with high-top stools. Additional amenities include heated pool and spa, air conditioning, cable and WI, a washer and dryer, and 2 spaces in the garage and 3 driveway parking spaces. Huge number of things to do inside and out means you never have to leave this retreat center unless you want to. 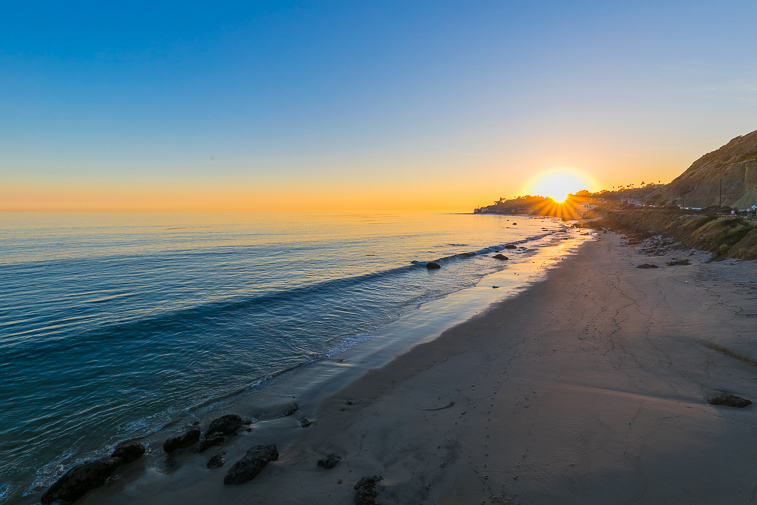 Only ½ mile to the beach and Malibu’s 21 miles of beach you can always find a wide variety of activities and places to explore during your stay. 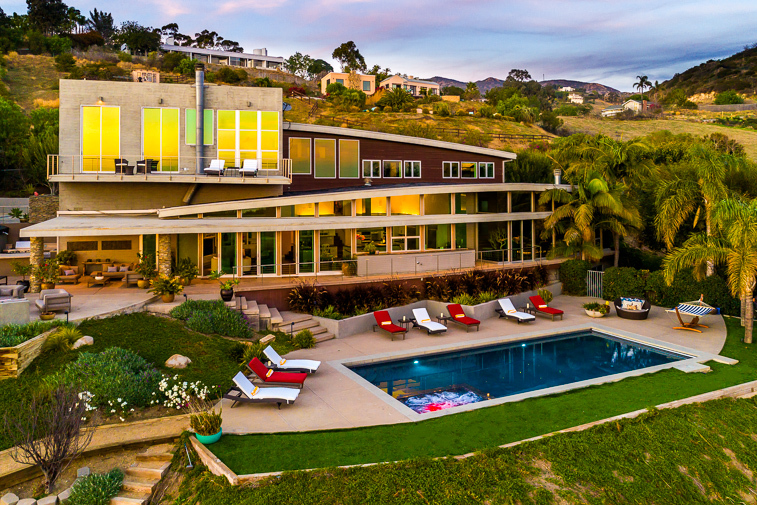 30 miles west of Los Angeles means that you can easily enjoy the many world-class attractions in the greater LA area. Total square footage of 8,000 feet includes an approximate 1,056 for the racquetball court and 760 feet for the guest house. Besides the indoor staircase there are stair steps to the pool area as well. This home is spectacular - wish we could have stayed longer to enjoy every amenity because the house has so much to offer. 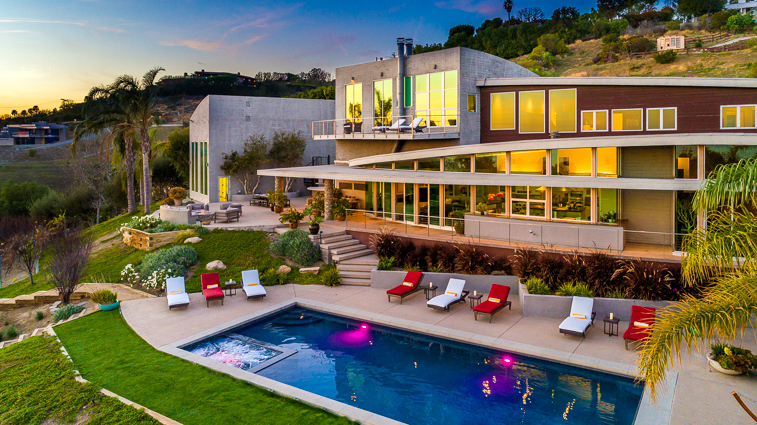 Has such a cool vibe, great furniture, and amazing views. Home overlooks ocean, great pool/backyard, and beautiful horse stables of neighbors below, which was my favorite thing to wake up to. Went with nine girlfriend's for my 40th birthday party weekend, and this place was perfect for poolside hangout, eating, talking (which is about all we did!) Kitchen is spacious and very well-stocked, and we found we cancelled plans to go out to eat to cook and stay in instead because we'd rather enjoy more time at the house. Never made it down to theatre room or racquetball court or outdoor lawn to playground/corn hole areas, but those would have been fun for different types of groups. Beds were extremely comfortable - (like, we examined the tags so we could buy the same bedding/sheets for our own beds, that's how comfortable...). Having so many bathrooms ensuite with each bedroom was also really great. The host company sent a rep to meet us at the house and let us in, show us around - which was very nice and appreciated. I downloaded apps to help run the house music/lighting which was worth the 3mins of download to have those added features. Home security gate was nice - didn't worry so much about shutting garage doors/locking up. One thing that was kind of a bummer was the huge rollaway window shade in the master was broken, and left in the down position (to keep hot afternoon sun out), which blocked the ocean view, and the A/C wasn't working in this room (only) during our stay, but management company brought in a portable unit, and it ended up being fine comfort-wise. Would have been nice to have the view/had the shade fixed prior; just one of those bad timing things that happen with rentals. And something to be aware of - you won't have wifi/reception for about 2 miles before you get to the house (typical in Malibu) - so rely on provided/texted instructions, but not a big deal. Wifi works great at the house. Would love to go back. Loved our stay! - Reviewed By Autumn M.
Absolutely the best place for me and my friends to celebrate my 45th birthday. The location and house was even nicer than I expected! The photos don't do it justice. The house is spacious enough for everyone to have their privacy, but the open kitchen plan was divine for cooking and hanging out. There are so many attributes to the home, but I thoroughly enjoyed the outdoor fire pit. After a long day at the pool, relaxing by the fire pit was the perfect end to the day. I will certainly come back to the house. We were a bit thrown off because we didn't have cell service, but in the end, it worked out well. Often time a little tough for Uber drivers to navigate at night (especially because their GPS signal fails once they get closer to the house), but all worked out well. A 5 star experience! - Reviewed By Lybra C.
I brought together 10 of my closest friends to celebrate my 45th birthday, and it was epic! The house is stunning; the pictures dont do it justice. The grounds are kept up well, and the location is divine. There is no cell service, but wifi is good. Tough to receive packages or visitors because navigating to the house can be tricky due to the spotty cell service and GPS. I would absolutely rent this house again. What an extraordinary experience.